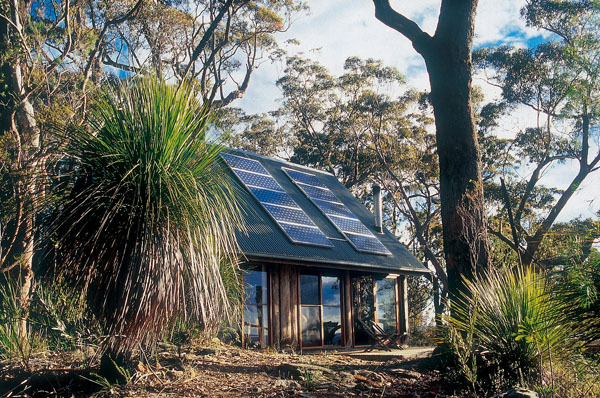 The World Heritage region of the Blue Mountains is an Australian Highlight, and Love Cabins is the best place to see the famous slate-colored haze that gives the mountains that name. 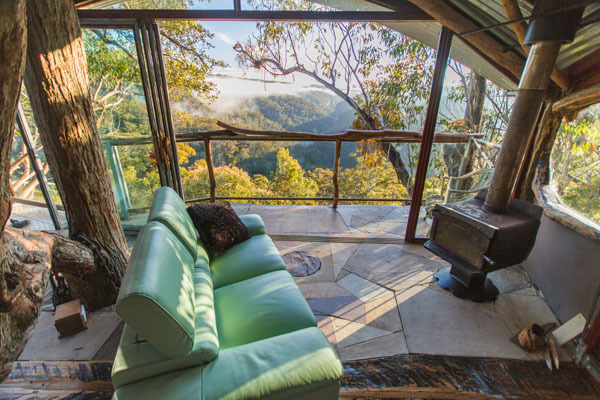 Nestled amongst 600 acres of spectacular Blue Mountains bush land are 6 uniquely designed, private bush cabins, each offering spectacular views, perfect for a couples getaway with peace and romance in a serene, secluded wilderness setting. Guests can get in touch with their primitive side in the Enchanted Cave, which is sure to stir something in your biology. 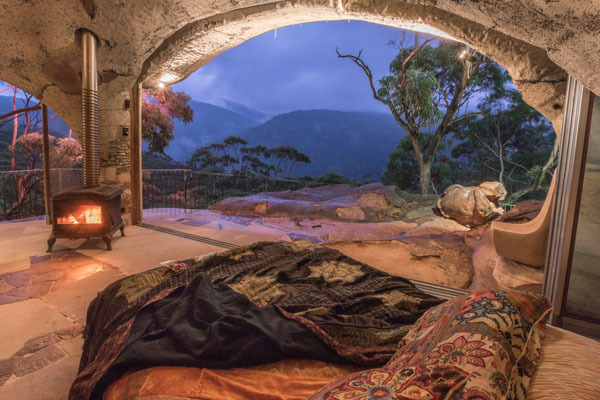 The cave features a queen bed set into a bedrock next to the fireplace, a en-suite spa bathroom, modern slow-combustion fireplace, modern kitchenette equipped with everything you need for your stay, a TV cabinet, and a sweeping view uninterrupted view of the famed mountains. The spa is situated in the floor, which allows guests to relax in the spa while watching the clouds roll over the mountains through an open glass door, whilst also sipping on a glass of bubbly ad cuddling up to your significant other. 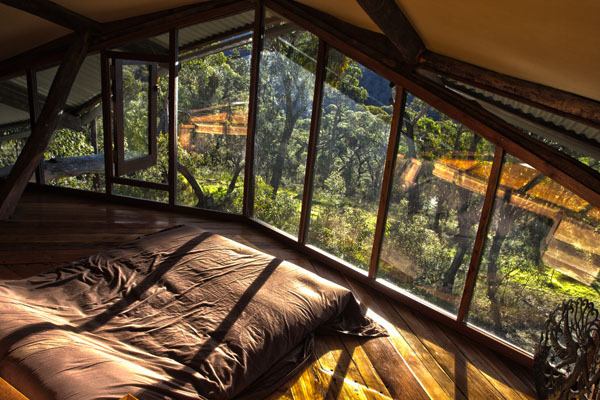 The tree house is a place where guests can live with the birds high up in the forest treetops, surrounded by breathtaking panoramic views of the mountains. 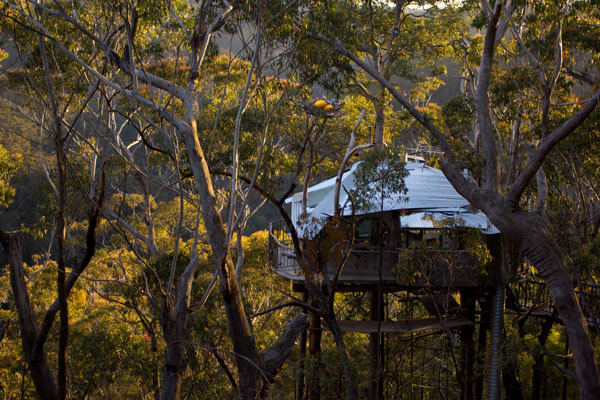 The spa is also located on the edge of the structure for spectacular views both day and night. Each cabin is perfectly in touch with nature and its habitat, incorporating natural elements like wood, sand and stone in the structure and décor. When the sun disappears, the forest puts on a magical display, which guests can choose to see. 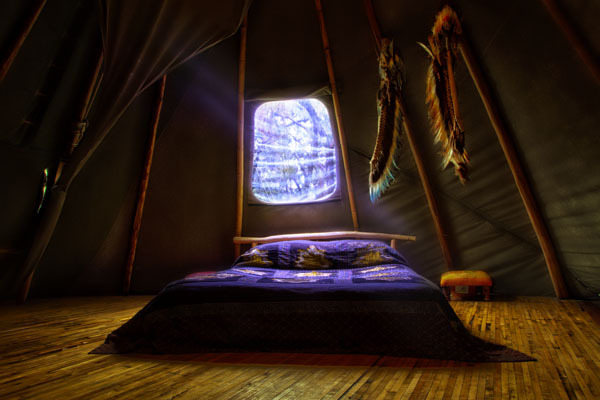 The glowworm tour is a short walk from the cabins and includes a knowledgeable host who will stop along the way to explain the history of the trees and the types of animals that live in them, a head torch, a rain jacket and a 1 hour magical spectacle of hundreds of thousands of glow worms occupying a hidden canyon. 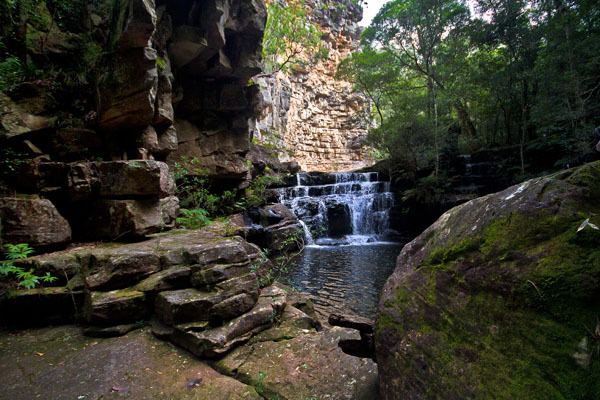 During the day, guests can also opt in for a rainforest tour which takes you through an ancient rainforest canyon, a convict tour where you will walk along a 200 year old convict built road and walking tours to cliff-tops for some truly stunning cliff top views and also a sighting of native aboriginal carvings along the way.